Sticker shock may not have been the only force driving the decline in soda consumption in Berkeley after residents voted to enact the nation’s first soda tax in November 2014. The election, and the vigorous campaigning around the tax that led up to the vote, also may have played a major role in changing habits, shows a new study by economists at the University of California, Berkeley. The study authors analyzed food and drink purchases at UC Berkeley-owned dining facilities and in drug stores in the city of Berkeley before and after residents voted in favor of levying a penny-per-ounce tax on all sugar-sweetened beverages. Their analysis revealed that soda sales dropped an average of 10 to 20 percent in the three months immediately following the vote — before the tax and any associated price hikes went into effect. 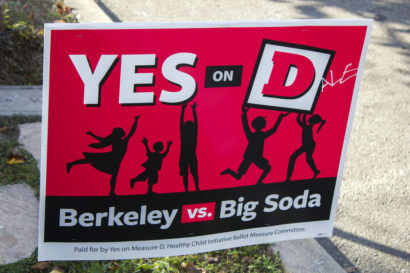 The results indicate that the contentious “Berkeley vs. Big Soda” campaign, and the ultimate vote in favor of the tax, were enough to lower soda sales in the city. “In this case, an election really worked to change consumption before a price change,” said Sofia Villas-Boas, professor of agricultural and resource economics at UC Berkeley and senior author of the paper, which appears online in the journal Economic Inquiry. “A big takeaway from our study is that if you replicate a soda tax or some other similar measure in a different city, you might not witness the same consumption results if you didn’t have a campaign and election leading up to the actual tax implementation,” said Scott Kaplan, a graduate student of agriculture and resource economics at UC Berkeley and co-author of the paper. On July 1, 2014, the Berkeley City Council approved Measure D — which would wage the penny-per-ounce tax on the distributors of sugar-sweetened beverages — for the November ballot. More than $3 million was spent on the resulting campaigns for and against the tax, with ads appearing on billboards, in subway stations, at bus stops, on television and in local newspapers. Seventy-six percent of voters came out in favor of the tax, and it went into effect in March 2015. For those hoping the tax would lower the consumption of sugary drinks, Measure D appears to be a resounding success. In previously published surveys, residents of diverse and low-income neighborhoods in Berkeley reported drinking up to 21 percent fewer servings of sugary drinks in 2015 and 50 percent fewer servings in 2017 than they did before the tax went into effect. Retail scanner data also showed a 10 percent drop in the sales of sugar-sweetened beverages in the city in the year after the tax was implemented. These earlier studies, however, do not provide insight into what drove these changes: Was it the changing price of soda, the influence of the campaign and overwhelming “yes” vote, or both? In the new paper, the authors analyzed monthly soda prices and soda sales at UC Berkeley-owned dining facilities from January 2014 to December 2016. Though the tax was levied on all sugar-sweetened beverages, they decided to focus only on the sale of soda, since that was the main target of the Measure D campaign. 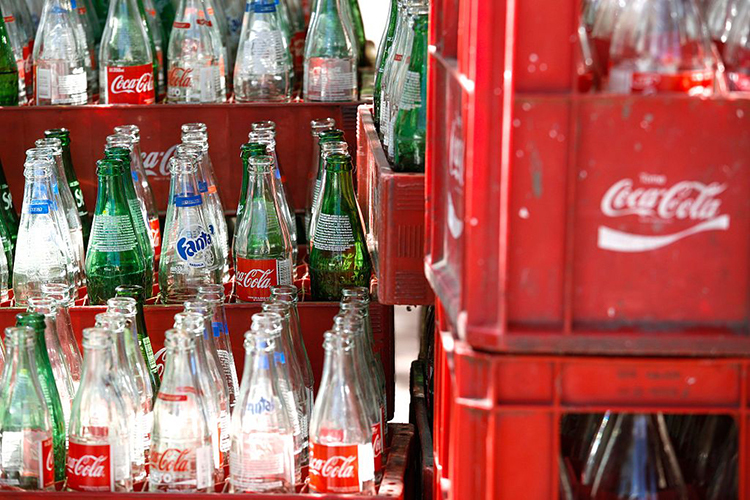 The results showed that soda purchases dropped between 18 and 36 percent during the study time period. The majority of this decline — around 10 to 20 percent — occurred in the three months after the election, November 2014 through February 2015, even though soda prices at UC Berkeley did not go up until August 2016. Because the clientele of UC Berkeley-owned dining facilities may not be representative of the city as a whole, the team also used retail scanner data to examine soda sales in the city of Berkeley and compared the data to other cities with UC campuses, such as Davis, Merced and Santa Cruz. The economists found a similar 10 percent drop in soda sales in the city of Berkeley in the months immediately following the election compared to the other cities with a UC campus, indicating that the change was unique to Berkeley. However, it is unclear when, or if, off-campus drugstore retailers decided to raise prices on certain beverages in response to the election outcome before the tax was actually put into place. Co-authors of the paper include Rebecca L.C. Taylor of the University of Sydney and Kevin Jung of UC Berkeley.